A sharply divided Federal Communications Commission voted 3-2 along partisan lines Wednesday to impose new measures meant to ensure that local governments do not block new competitors from entering the cable television market. The vote came on the same day that FCC Chairman Kevin Martin released a report on cable prices that shows in 2004, average cable rates rose 5.2 percent. The report also shows that from 1995 to 2005 rates increased a total of 93 percent. Wednesday's meeting was unusually rancorous with Democratic Commissioner Jonathan Adelstein challenging FCC staff on the assertion that localities are blocking access and Martin departing from what is usually a carefully scripted meeting to defend the measure. The new rules approved by the commission will require local cable franchising authorities to act on applications from competitors with access to local rights of way within 90 days, and to act within six months on applications from other new competitors. The FCC will also ban local governments from forcing new competitors to build out new systems more quickly than the incumbent carrier and to count certain costs required of new carriers to go toward the 5 percent franchise fee they are required to pay. Adelstein and fellow Democrat Michael Copps harshly criticized the measure, questioning the agency's evidence that there are barriers to entry by competitors. They also expressed concern over the loss of local control by franchise authorities and were unconvinced that the FCC has the legal authority to impose the new rules. The cable pricing survey, the first released in 22 months, showed that competition from direct broadcast satellite competitors like DirecTV has little if any effect on cable prices, while in areas where there are wireline competitors, such as municipal cable providers and overbuilders like RCN Corp., rates were 17 percent lower. 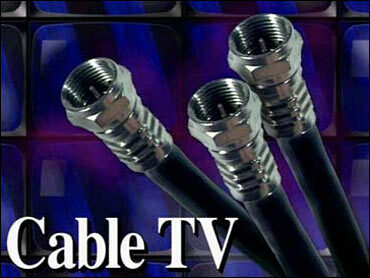 Kyle McSlarrow, president and CEO of the National Cable & Telecommunications Association, called the pricing survey "obsolete" because it failed to account for the "favorable impact" of bundling services on pricing and "the greatly increased value of cable services in a digital world. Telecommunications companies Verizon Communications Inc. and AT&T Inc. have been lobbying aggressively to make it easier to obtain local franchises as each company sinks billions of dollars into its networks in order to deliver video programming. Verizon cheered the move. Company senior vice president for regulatory affairs Susanne Guyer said "the FCC is standing up for consumers who are tired of skyrocketing cable bills and want greater choice in service providers and programming." The approval came despite a warning from the incoming chairman of the House Energy and Commerce Committee questioning whether the FCC has the legal authority to issue the new rules. In a letter dated Tuesday, Rep. John Dingell, D-Mich., wrote, "It would be extremely inappropriate for the Federal Communications Commission to take action that would exceed the agency's authority and usurp congressional prerogative to reform the cable television and local franchising process." The vote failed to win the support of Consumers Union, the nonprofit publisher of Consumer Reports magazine. Jeannine Kenney, senior policy analyst with the group, said that unless consumers receive assurances from the FCC and the phone companies that cable rates will decline once the new competitors enter a market, "the FCC's decision may do more harm than good." Critics have also expressed concern that the new entrants may not offer service in lower-income areas. Joining Martin in approving the measure were fellow Republicans Deborah Taylor-Tate and Robert McDowell.